Is Crystal Okoye the sexiest actress in Nollywood? An Islamic scholer, Imam Jamiu Ibrahim, has called on wealthy individuals to contribute more in building islamic schools in communities. Ibrahim, who is the Head of Rabiatu Academic Foundation, made the call during the 3rd Quranic Graduation ceremony of the school on Sunday in kaduna. He stressed the need for parents to give Islamic education to younger generations so as to have a better society in the country. Ibrahim said that training children in religious ways would go a long way in reducing all forms of vices in the society. 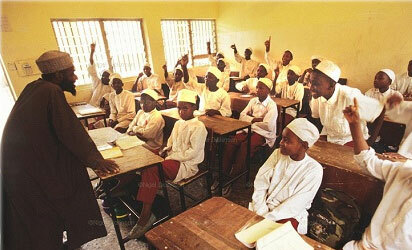 He commended the 28 students of the school who were among those that completed and memorized the holy Quran. Also speaking, Iman Isah Saeed highlighted the importance of assistin the religion of Allah, noting that the holy Quran encourages the assisting of religion. He called on wealthy individuals to always assist with their wealth to promote the religion of Allah. He also stressed the need for Muslims to engage in good deeds before praying to Allah to bring an end to all social vices in society. Iman Yusuf Mohammed, urged parents to assist the children that completed the Quran to understand what they read in the holy Quran as it is one of the manuals of life. ” I want to call on parents to encourage the children in the ways of Allah,” he said. He thanked the Ulamas who taught the children how to recite the holy Quran. The News Agency of Nigeria (NAN), reports that the school has been in existence for about 10 years and this is its third Quranic graduation . NAN reports that Nine males and 19 females where among the graduands for the 2018 session. During the occasion awards were given to best teachers and best performing students including Fahad Yahaya who excelled as overall best student and Aisha Mada who came second.